- 6 French tongue twisters cards with their English translation. 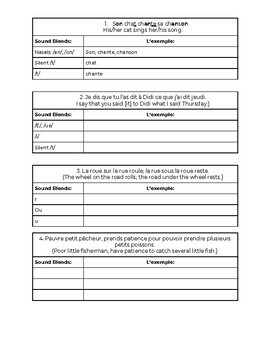 - 2 pages of supplementary activities ideal for centers, supply teacher work or just to practice pronunciation. The activities include finding and highlighting sound blends that are different in French than English. 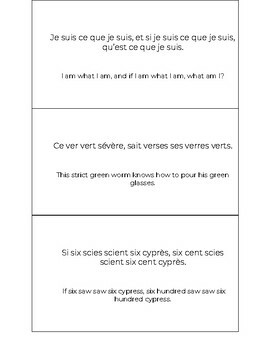 Then there is a model for the students to write their own song twisters in French. 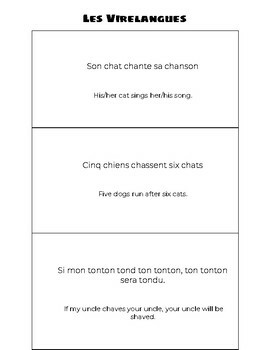 - step by step instruction on how to write a tongue twister in French.